Downsizing to a smaller kitchen can mean that you have to get pretty creative. In a previous post I talked about gadgets for a small kitchen. You can see that here. Today I thought I would share some ways other people have gotten creative in their small kitchens. 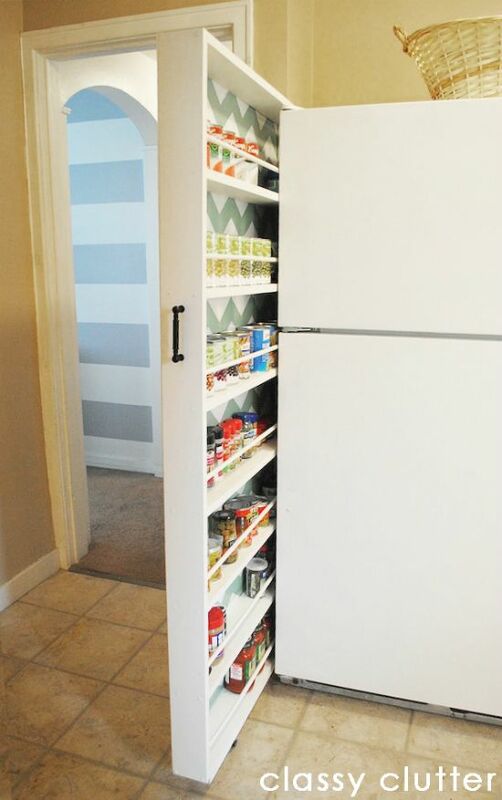 This is really a creative idea, that can take the place of a pantry, which most small kitchens don't have. Wish I knew someone who could build it for me. As long as there are doors on my cabinets, I'm not really that concerned with how pretty they are on the inside. I've always thought these slide out bins were a good idea. It saves me having to stand on my head to find things. Let's talk trash. No not that kind of trash. My mom might wash my mouth out with soap. I really like this over the door trash container. There never seems to be anywhere in a small apartment to put a kitchen trash can and this would work perfectly for me. I'd like to have one for trash and one for recyclables. A fold down dish drainer that you can keep out of the way is a great idea. I'm thinking this one came from Ikea, as my younger daughter has one in her small kitchen. How adorable is this small bright kitchen? They have really made great use of all their space. I like everything about it. So many great ideas. 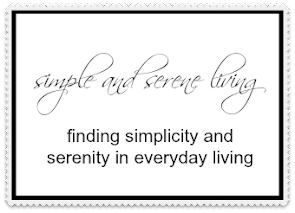 I know I will be pinning lots more on my Small Space Living board. I have not been compensated for any of the products shown here. They are just things I personally like. P.S. I have more small space decor ideas here. OMG! I guess my kitchen is not THAT small after all. They're all so smart and cute, though. Great ideas. I love the pantry shelf next to the fridge. Isn't that great, Debby? That would work in any size kitchen. Lots of good ideas! I can't wait until you move to Atlanta!! Great ideas in your post.